A few years ago, Bill Lanouette brought out a new, revised edition of his authoritative, sensitive and sparkling biography of Szilard. It is essential reading for those who want to understand the nature of science, both as an abstract flight into the deep secrets of nature and a practical tool that can be wielded for humanity's salvation and destruction. As I read the book and pondered Szilard's life I realized that the twentieth century Hungarian would have been right at home in the twenty-first. More than anything else, what makes Szilard remarkable is how prophetically his visions have played out since his death in 1962, all the way to the year 2014. But Szilard was also the quintessential example of a multifaceted individual. If you look at the essential events of the man's life you can see several Szilards, each of whom holds great relevance for the modern world. Szilard's day in the sun came when he circulated a petition directed toward the president and signed by 70 scientists advocating a demonstration of the bomb to the Japanese and an attempt at cooperation in the field of atomic energy with the Soviets. This was activist Leo Szilard at his best. Groves was livid, Oppenheimer - who by now had tasted power and was an establishment man - was deeply hesitant and the petition was stashed away in a safe until after the war. Szilard's disappointment that his advice was not heeded turned to even bigger concern after the war when he witnessed the arms race between the two superpowers. In 1949 he wrote a remarkable fictitious story titled 'My Trial As A War Criminal' in which he imagined what would have happened had the United States lost the war to the Soviets; Szilard's point was that in participating in the creation of nuclear weapons, American scientists were no less or more complicit than their Russian counterparts. Szilard's take on the matter raised valuable questions about the moral responsibility of scientists, an issue that we are grappling with even today. The story played a small part in inspiring Soviet physicist Andrei Sakharov in his campaign for nuclear disarmament. 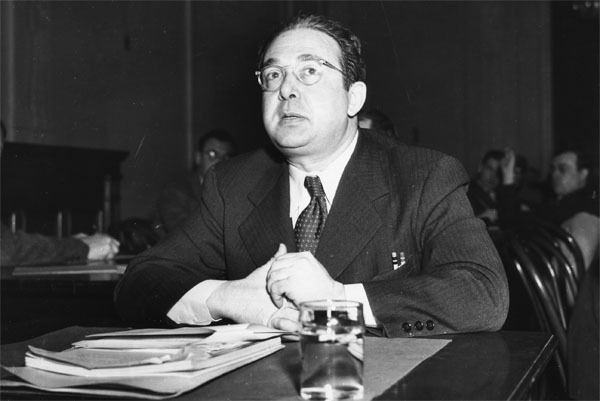 Szilard also helped organize the Pugwash Conferences for disarmament, gave talks around the world on nuclear weapons, and met with Nikita Khrushchev in Manhattan in 1960; the result of this amiable meeting was both the gift of a Schick razor to Khrushchev and, more importantly, Khrushchev agreeing with Szilard's suggestion that a telephone hot-line be installed between Moscow and Washington for emergencies. 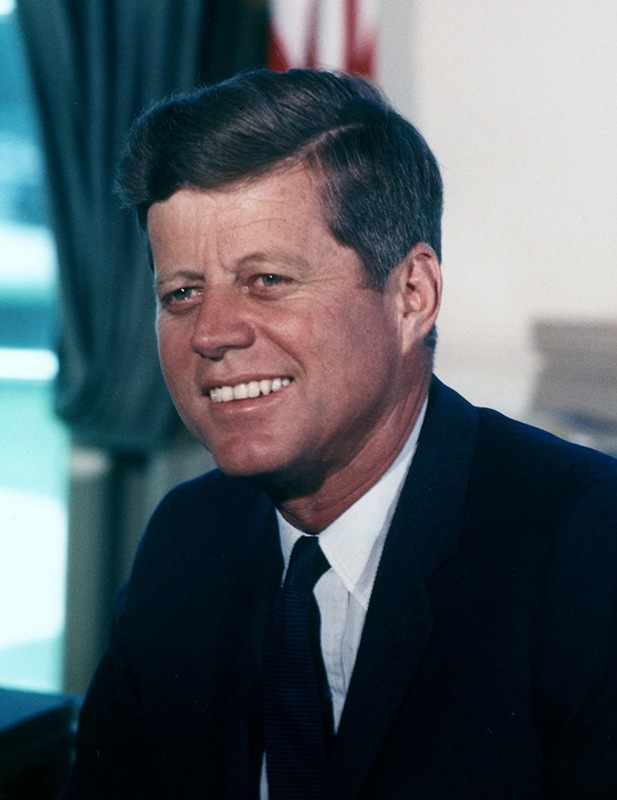 The significance of this hot-line was acutely highlighted by the 1962 Cuban missile crisis. Sadly Szilard's later two attempts at meeting with Khrushchev failed. Since Szilard the common and deep roots that underlie the tree of science and politics have become far clearer. Today we need scientists like Szilard to stand up for science every time a scientific issue such as climate change or evolution collides with politics. When Szilard pushed scientists to get involved in politics it may have looked like an anomaly, but today we are struggling with very similar issues. As in many of his other actions, Szilard's motto for the interaction of science with politics was one of accommodation. He was always an ardent believer in the common goals that human beings seek, irrespective of the divergent beliefs that they may hold. He was also an exemplar of combining thought with action, projecting an ideal meld of the idealist and the realist. Whether he was balancing thermodynamic thoughts with refrigeration concerns or following up political idealism with letters to prominent politicians, he taught us all how to both think and do. As interdisciplinary scientist, as astute technological inventor, as conscientious political activist, as a troublemaker of the best kind, Leo Szilard leaves us with an outstanding role model and an enduring legacy. It is up to us to fill his shoes. Back in the good old days of the late 1940s, the age of innocence still writ large on this country's lifeline, LIFE magazine was a microcosm of American life, a daily staple that brought the leading lights and events of the country into the living rooms of the middle class. When readers received the October, 1949 issue in their mail they found the godlike face of American science and technology gazing beneficently at them from the cover. Thanks to the substantial capabilities of eBAY I was able to retrieve a copy. 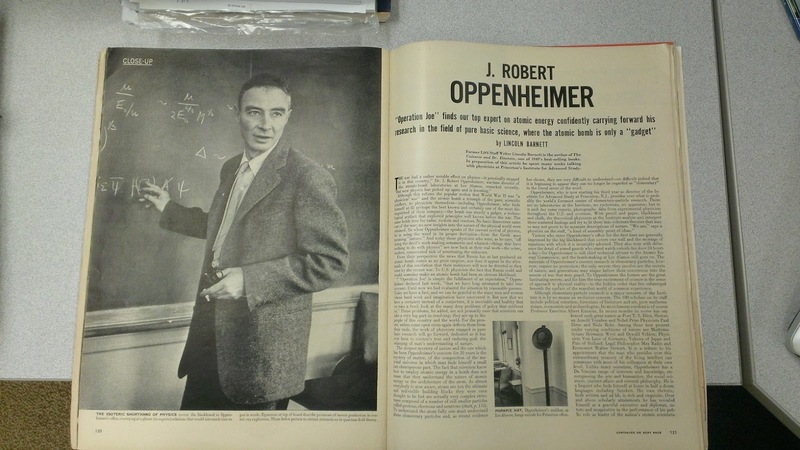 J. Robert Oppenheimer had already become a household name because of his leadership of the atomic bomb project, and now he seemed to have outdone himself by becoming the director of the Institute of Advanced Study in Princeton, effectively making himself the boss of Albert Einstein, John von Neumann and Kurt Gödel. 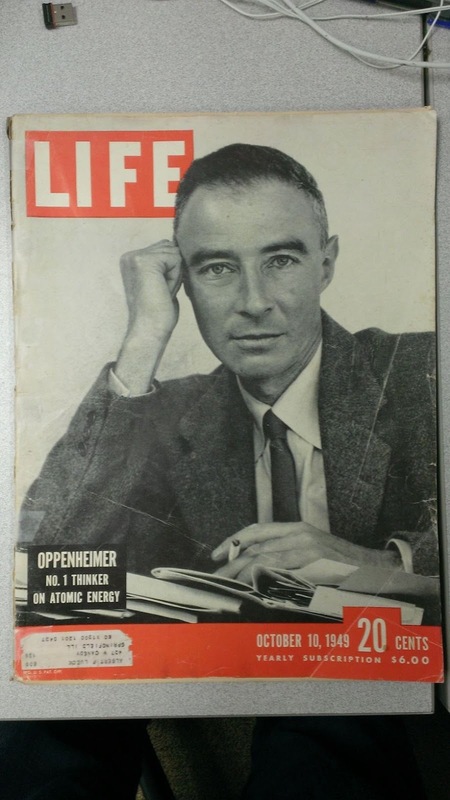 The 1949 issue paints a picture of Oppenheimer as the quintessential polymath genius and new frontiersman, with a healthy contribution from Oppenheimer the Family Man making the picture complete. 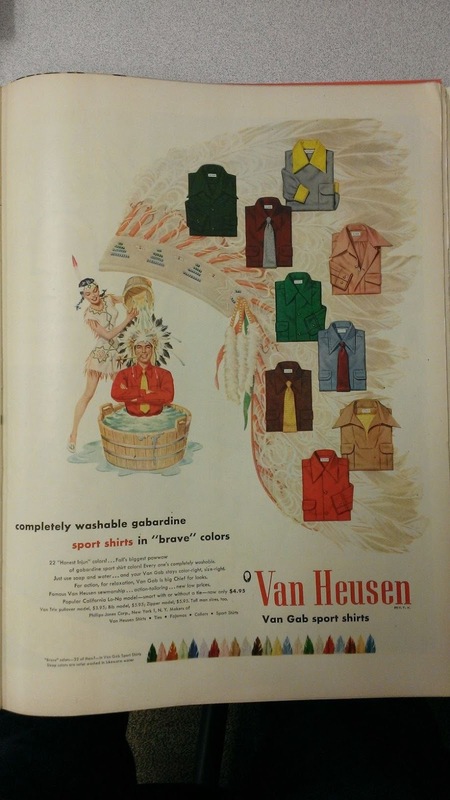 There are also other goodies in the installment, with a cheerful smattering of old-fashioned 1940s sexism advertising household products for men and their doting wives. And yes, the biggest concern about cigarettes is throat irritation, a myth reassuringly dismissed by Camel. First, the father of the atomic bomb inspiring readers with his steel-blue eyes, thoughtful gaze and ever-present cigarette. Oppenheimer was regarded as the quintessential intellectual plumbing the intricate depths of physics. His signature porkpie hat, cigarette, dazzling mastery of topics as far-flung as French poetry and Sanskrit literature made him the poster boy for the rarefied American intellectual, a species which until then had largely seemed endemic to Europe. Daddy's Home! : The glowing, breathless profile packed with quotes from Oppie painted Oppenheimer as that rare combination of ivory tower genius and everyman with a great family life who enjoyed romping around with his kids when he returned from work. Reality was different: his wife Kitty was given to bouts of heavy drinking even during the day, and she could be a very unpleasant person in personal interactions. His children Toni and Peter lived in the shadow of their often acerbic and absent father, and both their lives ended in tragedy: Toni committed suicide after her parents' deaths, and Peter Oppenheimer is a recluse who very rarely talks about his father. But enough about Oppie. Nothing says class and poise better than Van Heusen shirts for the modern American man, worn especially when his wife lovingly bathes him. Finally, a piece of good news to divert readers' minds from all that heavy mathematical physics and philosophizing. 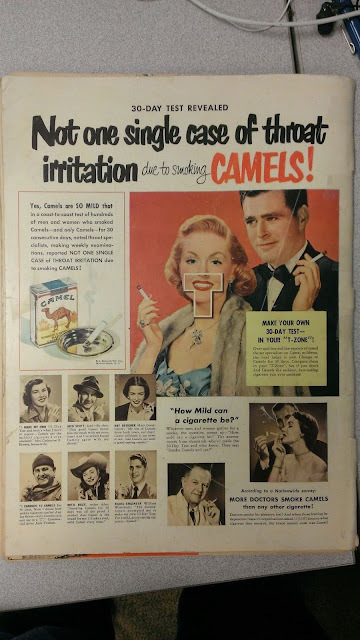 Camel cigarettes don't cause any throat irritation! (only lung cancer). "There must be no barriers to freedom of inquiry … There is no place for dogma in science. The scientist is free, and must be free to ask any question, to doubt any assertion, to seek for any evidence, to correct any errors. Our political life is also predicated on openness. We know that the only way to avoid error is to detect it and that the only way to detect it is to be free to inquire. And we know that as long as men are free to ask what they must, free to say what they think, free to think what they will, freedom can never be lost, and science can never regress." More than almost anyone at the time, Robert Oppenheimer knew how crucial open inquiry was, again not as a formal, pedagogic aspect of science but as an error-correcting tool. Error correction is an important part of both pure and applied science. It can allow you to discover fundamental particles and mathematical theorems, but it can equally allow you to build a better integrated circuit and invent new drugs for cancer. As Oppenheimer realized, the atomic bomb had made this need for correcting error literally a matter of life and death. Even the politicians - deeply susceptible as they are to the effects of integrated circuits, cancer and atomic bombs - should be able to get on board with that urgency. 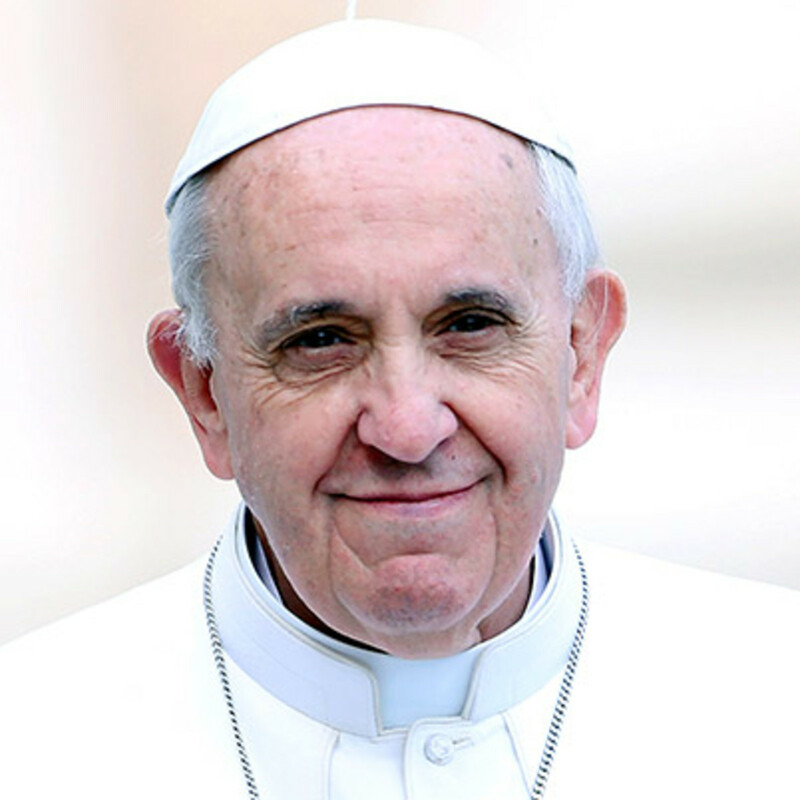 But perhaps we should leave the last word on the many virtues of doubt, uncertainty, self-skepticism and openness to a man who told us a cautionary tale about the horrific ends that result from the acts of men and women who throw all these values out of the window, convinced as they are of the indelible truth of their own beliefs. As he bent down to pick up mud from a pond at Auschwitz, Jacob Bronowski issued a plea to question our beliefs that is as ominous and heartfelt as it is relevant to our modern times. “It's said that science will dehumanize people and turn them into numbers. That's false, tragically false. Look for yourself. This is the concentration camp and crematorium at Auschwitz. This is where people were turned into numbers. Into this pond were flushed the ashes of some four million people. And that was not done by gas. It was done by arrogance, it was done by dogma, it was done by ignorance. When people believe that they have absolute knowledge, with no test in reality, this is how they behave. This is what men do when they aspire to the knowledge of gods. Science is a very human form of knowledge. We are always at the brink of the known; we always feel forward for what is to be hoped. Every judgment in science stands on the edge of error and is personal. Science is a tribute to what we can know although we are fallible. In the end, the words were said by Oliver Cromwell: "I beseech you in the bowels of Christ: Think it possible you may be mistaken...we have to cure ourselves of the itch for absolute knowledge and power." You may be mistaken. Think it possible. 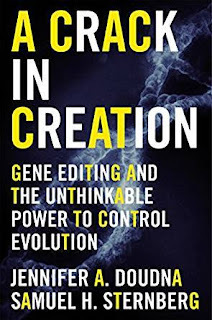 Brave New World: A review of Jennifer Doudna and Samuel Sternberg's "A Crack in Creation: Gene Editing and the Unthinkable Power to Control Evolution"
For four and a half billion years, evolution on our planet progressed at its own pace, through blind fortune and culling, creating dinosaurs and diatoms, butterflies and blue whales. The organisms that this evolution forged were at the mercy of random mutations, natural selection and the ceaseless slash-and-burn of the unsparing environment. They had no say in their making, no purposeful modification of their form and function. Then, about fifty thousand years ago, a creature appeared who, for the first time, had the wherewithal to actually mold himself in his own image and defy the laws of biology. This was Homo sapiens. For most of the next fifty thousand years, men and women largely changed their environment to provide comfort, security and prosperity for themselves. They made fire, built cities and cleared out large areas of virgin forest and grassland for agriculture. They domesticated other animals for their meat, milk and other products. They warded off diseases and predators and learnt how to travel long distances. In doing this they were fighting against the blind forces of nature that had shaped them, bending these forces to their will, delaying the natural course of death and exposure to the elements that these forces had visited upon them since the beginning. This spectacular success was the result of two unique features that evolution itself had fashioned for man by building big brains for him: intelligence and language. Both these features caused a paradigm shift that completely transformed the nature of life on this planet. It led to wheels and cast iron, to automobiles and the computer, to architecture and antibiotics, to mass extinctions and climate change. And perhaps the ultimate impact of these two unique inventions of evolution was the discovery of genes. With this discovery man had finally learnt not just to fight, but to potentially completely hack the very process that made him. It is only in the last fifty years that we have become realistically able to wield this awesome force. And it’s only in the last ten years that the force has created what is probably its most promising, far-reaching and consequential technological application, one that will truly lead to changes in our very beings, changes whose effects are frankly impossible to predict. This technology is germline gene editing, made possible by a biological tool called CRISPR. CRISPR holds promises for curing some of the most debilitating diseases afflicting humanity, revolutionizing agriculture and environmental sustainability and putting the power of genetics in the hands of parents who might want to have healthy, disease-free babies. And there are few better people to explain CRISPR than two of its principal inventors, Jennifer Doudna and Samuel Sternberg. Their book on the technology is a very good read, laying out both the technical details and the social implications with honesty, clear explanations and sensitivity. So what is CRISPR? In one sentence, it’s cheap precision gene editing. The words “cheap” and “precision” are both key to its looming dominance over lives. Gene editing itself is not a new concept and has been around for at least thirty years, ever since the genetic code was cracked and methods were invented to cut, copy and paste genes into genomes. 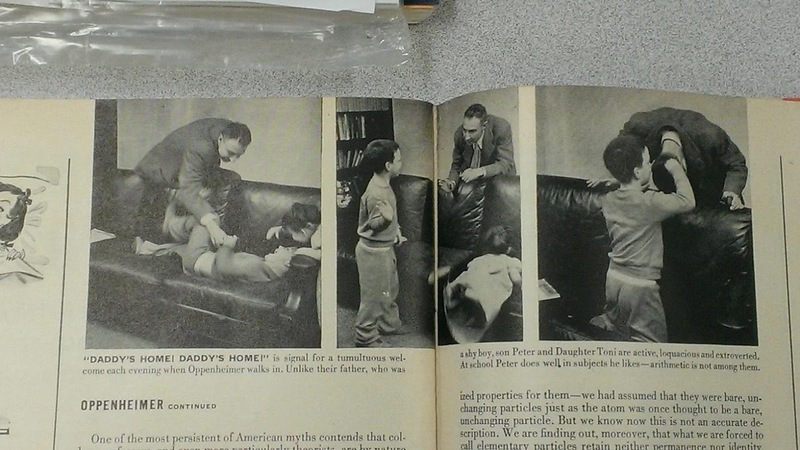 There was an enormous amount of enthusiasm in the promise of these techniques to cure genetic diseases in human beings, especially ones where the problem was caused by one or two malfunctioning genes that in principle could be removed or replaced by healthy versions. But as Doudna and Sternberg explain, most of these methods are haphazard and unpredictable, and they are also very expensive. They can paste genes in the wrong part of the genome, and they can do this with very low efficiency. CRISPR circumvents both of these problems. To understand why CRISPR is a real breakthrough, it’s useful to think of drugs. Almost every drug faces two principal challenges; efficacy and side effects. Many drugs fail simply because they are not very effective, and those that do succeed inevitably have side effects, sometimes serious ones. Imagine, then, a drug that is one hundred percent effective in curing a disease and has zero side effects, a so-called “magic bullet” if you will. The older technologies were like drugs with low efficacy and multiple unpredictable side effects. CRISPR is a magic bullet. More accurately, CRISPR holds the promise of being a magic bullet. From a technical standpoint, think of a genetic defect as one that can be excised by a pair of scissors. A faulty gene essentially consists of a spelling mistake in a short stretch of DNA, the material that codes for all of life. The main machinery of CRISPR consists of two parts; a stretch of DNA that has the right spelling, a complementary sequence that can latch on to the original wrong spelling, and a protein that guides this complementary sequence to the right location in the genome like a benign guided missile. The protein, which is called Cas9, can be very specific in being guided to that particular spelling; a spelling that is different by even one or two letters may keep it from reaching its target. In addition, CRISPR can edit any gene from the 25,000 or so genes in the human genome. This high specificity and universality is what makes it so exciting. One of the most important lessons from the history of CRISPR is that it was the product not of applied research but of undirected, curiosity-driven laboratory research. Doudna and Sternberg strongly emphasize this point, and it it’s especially critical in an era in which funding for the basic sciences and institutions like the National Institutes of Health is increasingly gutted. The original system was discovered in bacteria which use it to excise and destroy the genomes of invading viruses. The initial papers on this appeared in the 80s as a pure academic curiosity, but Doudna became aware of it only about ten years ago. Another important lesson from the CRISPR tale is that it is necessarily the work of many people. Doudna certainly is one of the key researchers, but there are many others who discovered critical aspects of the system; two of these are unfortunately engaged in a patent battle with Doudna, signifying the high stakes in the battle. One very important component was discovered by researchers working for the yogurt company Danisco who wanted to know how they could use the system for making yogurt cultures resistant to viral infection. Thus, the one take home message from the CRISPR story is that it was an international one, a product of pure science and multiple academic and industrial labs. The first part of the book lays out this story well. Doudna is also adept at describing the everyday personal excitement of research, the accidental discoveries and the triumphs and frustrations. She stumbled upon CRISPR entirely by accident, when a fellow scientist, a geologist working on understanding the interactions between microorganisms in rocky environments, contacted her. Her major paper on the topic came about through an accidental meeting in Puerto Rico with Emmanuele Charpentier, a scientist working in the Netherlands who was curious to know what the Cas9 protein did. As her story illustrates, it’s often chance encounters between scientists that lead to the most exciting discoveries. That is why it is important to maintain the flow of scientific collaboration between various countries, especially in this era of global political upheaval and nativism. Once the book lays out the basic technology of CRISPR and its history, the second part talks about the societal implications, many of which could be very consequential indeed. Apart from its accuracy, what distinguishes CRISPR from older technologies is its ease of use; even high school students can be taught to edit genes with it, at least in simple organisms like yeast and fruit flies. It is also inexpensive, so cost is not a huge hurdle for amateurs. Naturally both these features can lend themselves to beneficial as well as nefarious use; the latter made possible, say, by terrorists who might want to edit the genome of a bacterium to make it resistant to all antibiotics. The CIA and the DOD have started including CRISPR in their threat assessment reports. It’s hard to think of another technology except nuclear weapons which might requite such vigilance; the scary thing about CRISPR is that it’s far more accessible to the layperson compared to a nuclear weapon. Using CRISPR, it has become possible for the first time to edit, replace and substitute genes with unprecedented accuracy. Until now it could take months or even years to substitute multiple genes in a cell. Now we can do it in weeks. The authors give many examples of CRISPR editing defective genes in genetically inherited diseases like Sickle Cell Anemia. They also describe its use in tackling more complex disease like cancer and AIDS. Cancer is essentially a genetic disease caused by mutations in various genes, so at least in principle, CRISPR can correct these mutations by replacing those genes. In case of AIDS, there is a specific gene whose mutations confer resistance to the virus in a few lucky individuals. Again in principle, CRISPR can mutate the normal version of this gene found in all of us. Much of this has already been accomplished in test tubes, in cells and in animals like mice and monkeys. Human clinical trials on these and other diseases are underway. Agriculture too could be revolutionized using CRISPR. Using the technology you could breed healthier or stronger animals for meat with minimal environmental impact, you could breed crops that could be resistance to all kinds of infections, and you could even breed crops that make beneficial growth factors or drugs for human beings. This part of the book is particularly interesting because the author comes down very clearly on the side of these GMOs. She finds most of the rhetoric against GMOs unscientific. Her main argument, with which I agree, is that we have been changing the genes of crops and livestock for decades now without any ill effects. In spite of what proponents of non-GMO food would like to tell us, it’s impossible to escape having GMO foods in our diet, and these foods being cheaper and more abundant have kept scores of populations from starvation. But here’s the rub; these GMO foods and animals have actually been produced using technologies that are far more haphazard and unpredictable than CRISPR. They have introduced all kinds of unwanted changes in their hosts (their safety profile is thus even more impressive in light of this non-specificity). If anything, CRISPR with its unprecedented accuracy is going to make GMOs even safer and more effective than before. Currently there is thus no good scientific argument for not using CRISPR, at least for the kinds of changes in crops and livestock that we have been doing for years. But the most consequential application of CRISPR, and one that could truly have a huge impact on the life of the average man and woman, is germline editing. This is editing of the genes in an embryo, or even in the sperm and egg which make up the embryo. As the authors explain, it is only germline editing that can truly eliminate genetic diseases from their inception. Not only that, but using CRISPR to select viable, disease-free embryos before implantation won’t be much different in kind from the kind of embryonic selection that is done to pick viable embryos through traditional IVF technologies. What would prevent parents from asking doctors and scientists to use CRISPR to edit out potentially defective genes from a future child? Much more troublingly, what would prevent parents from using the technology for genetic enhancement, for making babies that are potentially taller, calmer, stronger and more intelligent? It’s a scenario that has been explored in science fiction movies like "Gattaca", but CRISPR has brought the possibility to our doorstep. The social implications are troubling and generate distant echoes of the horrific history of eugenics experiments in the early twentieth century. In a scenario like this, what would prevent society from morphing into one where only the rich have this ability? And what would keep us from considering genetically unenhanced individuals as inferior – or, chillingly – undesired? And yet the simple desire of parents to get rid of genes that are known to lead to horrible diseases is a positive case of eugenics, and it’s hard to argue against it. The problem with CRISPR, as with all technologies, is that the ethical dimensions of its use lie on a continuum. Another very far-reaching application of the method is in creating what is called a ‘gene drive’. A gene drive is a diabolical system in which the genes for making CRISPR itself are included using CRISPR in a genome. This kind of self-referential magic can ensure that when the genome replicates, it also replicates the CRISPR machinery. 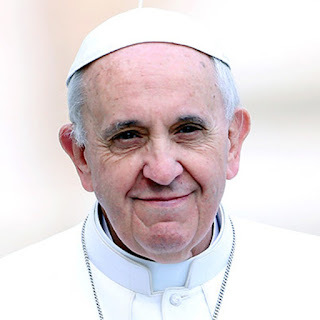 The implications of this technically ingenious manipulation is that when you incorporate it in the germline of a single organism and allow it to reproduce, the change will be effected in almost every one of its children, and grandchildren, and great grandchildren and so on. You would have essentially circumvented the natural laws of Mendelian inheritance. Using gene drives, you could change the genetic makeup of an entire species in a few months or years. One example of a gene drive cited in the book is an experiment that changes fruit fly color from red to yellow: the researchers calculated that if one of these CRISPRed fruit flies escaped from the lab, within a few years one in every four fruit flies around the world would be yellow. This is a very compelling scenario, and while it has been proposed for some very beneficial applications like malaria eradication, its more unseemly applications are indeed very concerning: using gene drives terrorists could introduce all kinds of mutations in our food, in our crops, and in our very bodies through manipulating the all-important microbiome that resides in us. It is when we start contemplating gene drives that the quip from the character in Jurassic Park suddenly starts appearing very urgent: when scientists are very busy doing things just because they could, they seldom stop to consider if they should. The last part of the book has a cogent discussion of these societal implications of gene editing and potential safeguards. In 2015 Doudna and her colleagues came out with a joint paper that categorically argued against germline editing before we fully understand the consequences; but not before Chinese scientists had already tested the method in a few (non-viable) human embryos. She also fully recognizes that lawmakers, politicians, ethicists and the general public will have to be as much a part of the conversation as scientists. At the same, she again comes down on the side of proceeding with CRISPR applications when it comes to safety concerns. The opponents are asking how we can proceed with the technology when its full effects are not understood. In Doudna’s mind, we have always used new technologies without fully understanding their pros and cons. We use vaccines and drugs, not just when we don’t know how to get rid of their side effects, but in full knowledge of these limitations. We fly in airplanes and drive on roads knowing all the time that the technology that enables us to do this is not one hundred percent safe. In each of these cases, we use the technology because we as a society have collectively decided that the benefits outweigh the risks. There is no reason per se why it should be different with CRISPR, even with its far more consequential impact on humanity. So should we all start rejoicing at the positive implications of CRISPR or start feeling cowed with fear at its misuse in evil hands? Not so fast. It's going to be a while before you can buy a "Grow Your Own Organic Meat CRISPR Kit" at the local Whole Foods, let alone a "Grow a Bodybuilder Baby" kit. One aspect of gene editing that I wish the authors had discussed much more is the fact that no technological breakthrough can be used efficiently if we simply don’t know how to use it. For instance CRISPR can repair certain genes involved in diseases, but the simple fact is that it can do so only if we know in the first place that those genes are involved. As the authors allude to, many important diseases like cancer, diabetes and especially psychiatric disorders have causes embedded in the subtle action of dozens - maybe even hundreds - of genes. It is impossible to use CRISPR to treat or cure these diseases when we don’t’ know where to apply it in the first place. The problem is not one of technology; it’s one of fundamental knowledge. The good thing is that CRISPR itself can be used fruitfully to interrogate the genetic causes of these diseases, but it’s going to take a long time before it can be used to treat them. This limitation is even truer of germline editing applications. Parents might very well want to edit embryonic genes that make their kids smarter or less anxious, but even now we are in the dark ages when it comes to understand the genetic basis of intelligence or anxiety. It might very well be possible to tweak simple traits like height and eye color, but we are again a long way off when it comes to imagining a race of superhumans. In addition, as the Chinese study noted above demonstrated, CRISPR still has some significant issues with side effects and efficacy, similar to those of drugs. The future sure seems like it’s here, but not yet. Ultimately the social and scientific problems with CRISPR are no different in principle from problems with any number of new technologies that humanity has unleashed on itself and the planet, from fossil fuels and antibiotics to nuclear power and plastics. This well written book brings us up to date on one technology that does hold a lot of potential, as long as we understand its true capabilities, don’t fall for breathless hype and have a collective conversation about its pros and cons. It underscores the spirit of pure scientific inquiry and collaboration, and emphasizes the inevitable meld between science and society that we all must grapple with. And ultimately it leaves the ethical problems open. As the physicist Richard Feynman once quoted a Japanese piece of wisdom, we have all been given the key to heaven. The same key opens the gates of hell. It is up to us which door to approach.